Choose approximate dimensions for your custom papasan cushion when placing your order, then make and send us your template using our easy-to-follow guidelines. 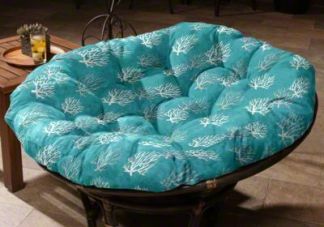 Our experienced sewers specialize in custom shapes and will ensure your custom cushion matches your template for a great fit. Choose from hundreds of indoor and outdoor fabrics to suit your style. 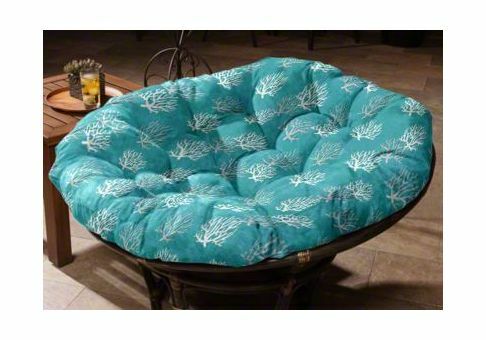 Our papasan cushions are filled with loose poly fill to create a softer cushion, then sewn shut with no zipper. 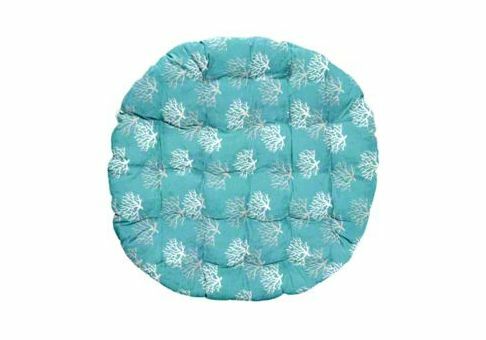 All of our papasan cushions are stuffed to a target thickness of 5 inches and feature standard circle tacks.